Originally, English Toy Spaniels were bred simply for a smaller size. It wasn’t until the reign of King Charles II that they became prized for their colors. The oldest variety of English Toy Spaniel, with a black and tan coat, became the favored breed of King Charles II, leading to it being named the King Charles Spaniel, which it is still called to this day in Britain. English Toy Spaniels have been bred for centuries as companion animals, and they serve this purpose well. While their personalities can vary greatly, with some being more outgoing than others, as a whole this breed is gentle, affectionate, and bonds strongly with their owners. English Toy Spaniels are an intelligent breed that can exhibit a streak of stubbornness. Training and socialization should begin at a young age and will require a patient owner. English Toy Spaniels are a low energy dog breed that requires very minimal exercise. This breed should be exercised in a fenced yard or on a leash. It is important to be mindful of the weather and exercise in hot climates should be avoided. English Toy Spaniels live between 10-12 years. English Toy Spaniels are currently the 130th most popular AKC registered breed. English Toy Spaniels should be fed a high-quality food source with a balanced nutrition appropriate for a dog their size. 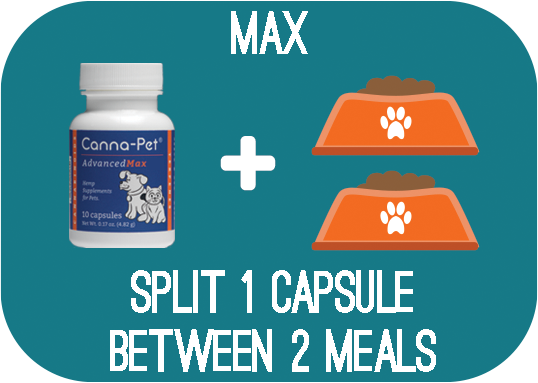 Many dog food companies make blends specifically for small sized breeds. Be sure to not overfeed your English Toy Spaniel, as his low energy levels combined with overfeeding can result in canine obesity. English Toy Spaniels should be brushed twice a week and have their ears regularly cleaned, as part of the dog grooming process. Are English Toy Spaniels Good With Kids? English Toy Spaniels are playful, loving companions that do well with children. Play with very young children should be supervised, as this is a very small breed of dog that can be easily injured through rough play. Patellar luxation in dogs is a condition that commonly affects miniature and toy sized breeds, and is seen in certain lines of the English Toy Spaniel. This condition occurs when the kneecap, or patella, becomes dislocated from the groove it rides in on the femur. Often, dislocation occurs spontaneously during exercise. Patellar luxation is a painful condition that should be treated immediately. Signs of patellar luxation include spontaneous canine lameness during or following exercise, hesitancy to put weight on a limb, shaking of a limb, or obvious signs of distress. English Toy Spaniels are predisposed towards developing canine heart disease. Specifically, this breed is prone towards developing either mitral valve disease or patent ductus arteriosus. Mitral valve disease is a degenerative condition that is characterized by a weakness in the mitral valve, which allows some blood to flow backward in the heart. Patent ductus arteriosus is a heart defect that causes the ductus arteriosus to not close properly after birth, resulting in irregular blood flow. Both conditions are most often detected as a heart murmur during a physical examination by a veterinarian. English Toy Spaniels may suffer from cataracts, so make sure to regularly check your dog’s eyes for any signs of cataract development. Cataracts in dogs is a condition where the lens of the eye becomes cloudy and occluded. Early on, this occlusion will not limit vision. However, as cataracts progress, they will progressively limit vision until they result in full canine blindness. Glaucoma in dogs is a condition where the eye fails to adequately drain fluid. This allows fluid to build up in the eye, resulting in increasing pressure over time. Glaucoma is a painful condition that can lead to permanent damage to vision, so be mindful of the signs and make sure to regularly check your English Toy Spaniel’s eyes. The most obvious sign of glaucoma is a visibly enlarged eye. Other signs include weeping or excessive tearing of the eye, or a red or bloodshot eye. It is also recommended to have your English Toy Spaniel’s eye pressure checked for early signs of glaucoma during routine examinations.